This is part 1 of our coverage of Captain Marvel. 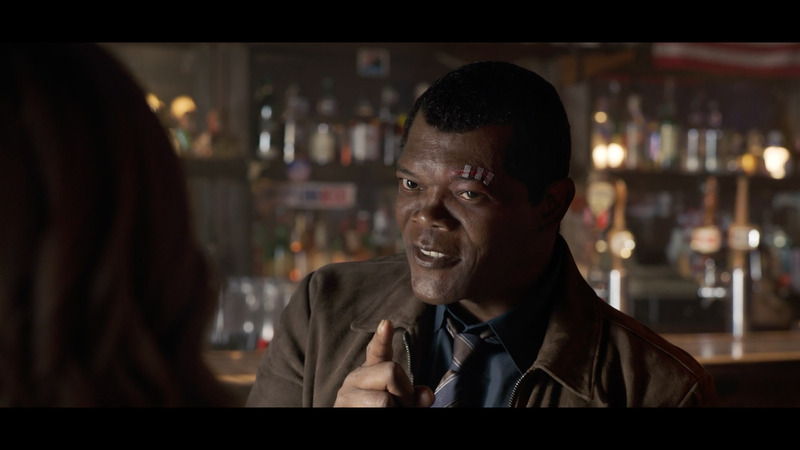 One of the most seamless and interesting visual effects in the new Captain Marvel movie is the de-aging required to allow actors Samuel L. Jackson and Clark Gregg to play themselves in the mid-nineties. Once again Marvel Studios turned to Lola VFX to de-age their stars while still remaining faithful to the actors’ performances. “I was like, ‘Oh, that will probably be like Negotiator face’,” Samuel L. Jackson told Yahoo Entertainment, referring to the 1998 thriller that had him squaring off against Kevin Spacey. Jackson was actually wrong, as we found out when we sat down with Lola VFX supervisor Trent Claus, to discuss their work on Captain Marvel. Lola VFX has had a long association with Marvel and we have covered many of those landmark effects sequences on fxguide stories, such as Skinny Steve, Guardians of Kurt and A Bug’s Wife. Jackson would later remark online, "Wow, this Marvel de-aging thing is doper than I thought!" and in this respect he is correct. The work of Lola in de-aging both Samuel L. Jackson’s Nick Fury and Clark Gregg's Phil Coulson is beautifully crafted work. 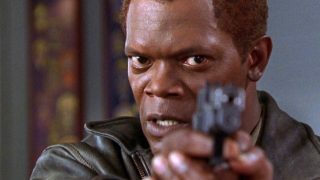 As reference, Lola did look at several Samuel L. Jackson films from around the 1995 period that Captain Marvel is set in, including Pulp Fiction (1994) and Die Hard: With a Vengeance (1995). However, Lola deciding against using Pulp Fiction, "because of the hair and his facial hair, he just looked so different, we had to throw that one out as a reference,” Claus explained. Similarly, in some other films from that period, Jackson was playing a character who was not the same age as himself. For example, in 1993's Jurassic Park, his character Arnold was meant to older than Jackson actually was. So Lola was not just looking at the date the film was released but also how he was made up for that particular character in that film. "What we ended up settling on, was a little bit from Die Hard, a bit from Loaded Weapon 1 (1993), but our hero movie was a smaller film called One Eight Seven (1997)." 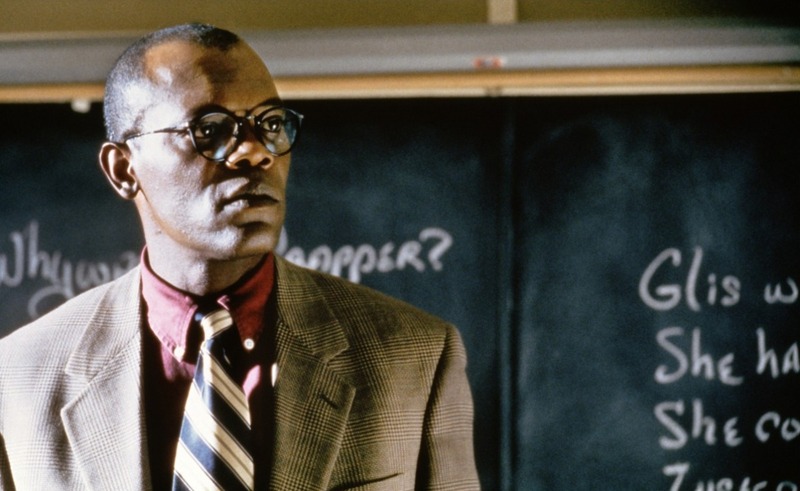 187, where Jackson stars as high school teacher Trevor Garfield, was the primary reference. In a film with the first female Marvel lead, and with the first female Marvel director, it is great to see more senior female VFX supervisors. Below is an informal interview with Janelle Croshaw discussing being a woman in VFX today. There is no one trick or software plugin that is doing this work, it is hand crafted compositing, primarily in Autodesk Flame (with some Nuke work). It is so brilliant that it’s easy to forget how hard it is, but one only has to recall recent epic failures by other less fortunate teams, to see that it is not an easy problem to solve, (#Superman's_Lip). 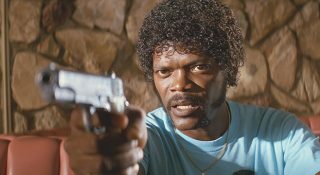 To add to the project’s complexity, the story required Jackson to be aged in the entire film, not just in a flashback or establishing sequence. Lola worked on some 500 shots, with about 385 ending up in the theatrical edit. Lola had roughly 40 primary compositors and another 15 to 20 juniors doing roto style work. This was spread over their 4 offices but focused out of the LA office. The Lola team started on the film in the summer of 2017. "We talked with Marvel about whether this was even going to be logistically possible and what it was going to take along with the concerns we had," commented Claus. On the basis of these talks Lola recommended a test with Jackson, which was done at their offices in September of 2017. "We did just a couple of shots on green screen and then we used those for our look development process and to determine which age we would shoot for,” he adds. At that test, Lola also requested a body double, which is their current standard approach. From that test, they discovered that the body double did not provide enough help to the process and in production they were not used. "With Sam in particular, we discovered that it didn't earn us a significant advantage using a double. 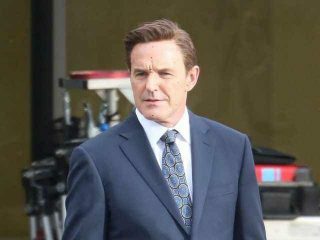 The time spent on set would not have been worth it,” Claus explains. The production did still use a stunt double for some of the fight scenes. The implications of not using a body double extends past Nick Fury's face. Lola had to work on recreating the physical statue of the younger Jackson as well as his younger face. The team settled on a 25 year de-aging, from Jackson's current age of 70 to a target age of 45. This makes the 'jump' in years about the middle range of de-aging that Lola has done for Marvel. To give Jackson his 45 year old body, the team took the plate photography and adjusted his posture, weight and his clothes. Claus explains that they adjusted, "the fit of the fabric, making shirts and things less tight at times or more loose depending on the shot. All the wardrobe had to be taken into consideration.” Just like the facial de-aging, all the wardrobe and posture adjustment was done in compositing and not with 3D cloths and cloth simulations. It is exacting, precise, and painstaking work. Given the results are in comp, there is no sense of a traditional approval process starting with blocking, grey scale animation tests and final rendering. Lola has had to redefine the client and director approval process to be quite different from traditional animation or VFX pipelines. "Actually, reviews are a problem that we have run into a lot with clients other than Marvel. Some productions are so used to a 3D pipeline where they see shots at regular intervals: they get a first pass, second pass, their final pass,” explains Claus. "And then they come to us and our process doesn't really work that way. You can't give them half a version with only half of his face.” Lola is also concerned about any partial shot throwing off their clients perception. "We always discuss this with them beforehand that we really don't deliver temps. We like to get the shot to a place where we're comfortable with it before we ever show it to the client,” he adds. While a 3D head built from photogrammetry is sometimes used as a lighting reference, there is no 3D animation or layers used in Lola's pipeline. 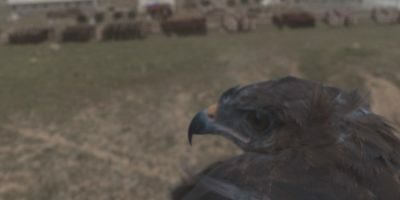 The team does sometimes object track a head, but this allows them to use 2D projection and sometimes the team do use this approach to work on unwrapped UVs, but "while we can use geometry as a guide for facial proportions and things like that, the actual ageing work is all done in comp," says Claus. While Jackson's complexion is different from say Michael Douglas or Michelle Pfeiffer's in Ant Man, the Lola team had also de-aged Laurence Fishburne in that film, which proved valuable experience for this film. Both Jackson and Gregg had dots applied to their faces, white or black dots depending on their skin tones. These dots are more sparse than one typically sees for facial MoCap, as the team both want the dots to inform them, but unlike MoCap, the same photography will be used for the final, so all the dots also need to be digitally removed. "We always ask for dots just to help with tracking, especially whenever we use a double," says Claus. "With both of these characters, since we didn't use doubles, not as many dots were necessary." The on set team placed the dots in what Claus called the 'most vague areas' of the face, where there are no clear features to track, such as the cheekbones and the centre of the forehead. "And also in areas where the skin stretches and squeezes based on expressions. We need to know what that anchor point was doing in that expression. If you just have the natural tracking points on the ear and the corner of the mouth, and you try and animate based on those alone, it won't be nearly as accurate as if you also have that anchor point in the center of the cheek as well,” he adds. But too many dots can make the compositor’s life difficult. In this film the average was around a dozen dots or additional anchor points. As Gregg would be in a lot less shots, the team did not test de-aging Gregg, and Claus also believes both actors look remarkable good and both "he and Sam have aged very well. It's a different scenario if you are trying to de-age someone else who has lived a much harder life - had more sun exposure, something like that. But, both Sam and Clark have aged extremely well." Lola's delivery on the film was 2K. A film like this is typically shot at a higher resolution, which can help, and is often key when reframing in post-production or adding a push in. But Lola's approach is to not restrict the film makers, nor require MoCap or complex restrictions. They have built their reputation on allowing film makers to film how they think the story should be told and Lola will solve it. For example, a shorter shutter with less initial motion blur would make Lola's life much easier, and motion blur could be added back in post but Lola never requires such technical limitations and they just happily work with the material as shot. Even when the hero character is fighting an alien in a poorly lit underground archive. Captain Marvel directors, Anna Boden and Ryan Fleck, in the video above explain the de-aging of Samuel L. Jackson and Clark Gregg by 25 years, as they break down a fight sequence from the film. Fantastic article again. And amazing work form Lola as usual, although it is insane thinking of basically compositing frame by frame an entire movie. I once did about 3 minutes of frame by frame and at the end I was ready to jump out of a window. 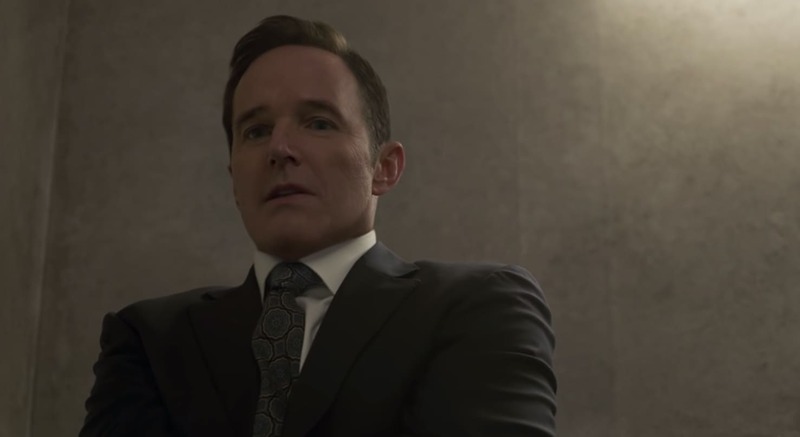 As for Clark Gregg, he is one of those not normal humans that don’t age at all. I’m sure there was a lot of work done on him too, but that one is not as immediately apparent.